Click the icon above to view free sample report on the MAUS Job Descriptions. 30-day purchase trial. Get your full version of the MAUS Job Descriptions. It’s risk free with the MAUS 30 day satisfaction guarantee. Or choose from a library of over 3,800 position templates. 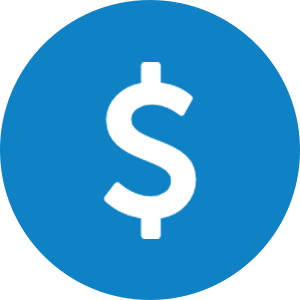 Easily export to Microsoft Word, PDF and HTML. 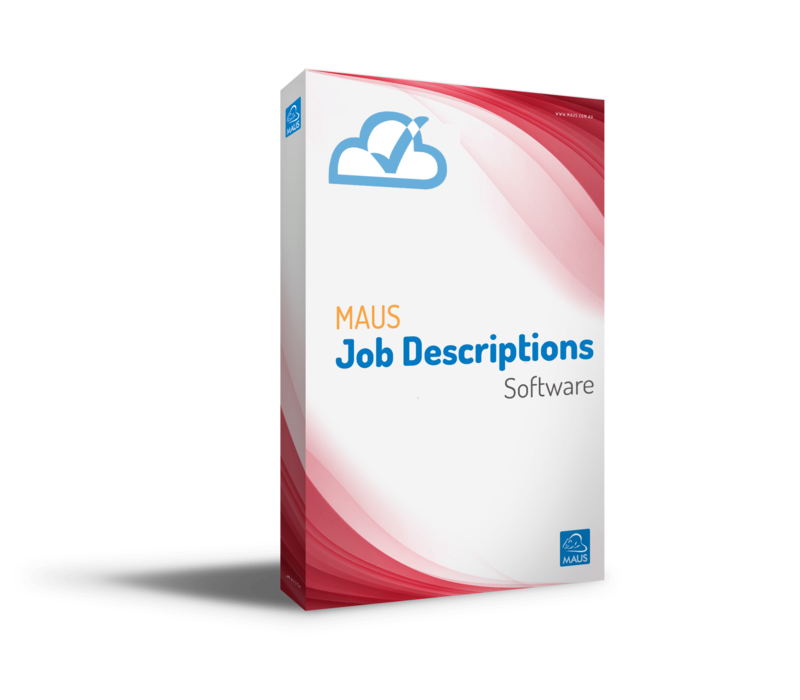 The MAUS Job Descriptions software is the only software that actually writes your job descriptions and advertisements for you! Using exclusive Intelli-Text technology, the software virtually writes and customises the descriptions for you in minutes. It even provides you with the tools to maximise each role how you see fit. 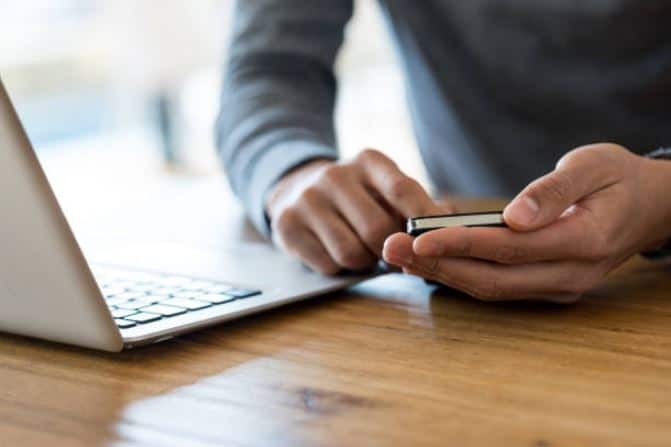 The program contains an employment ad writer that helps you to create advertisements for newspaper classifieds or internet job sites and also includes expert HR advice every step of the way. 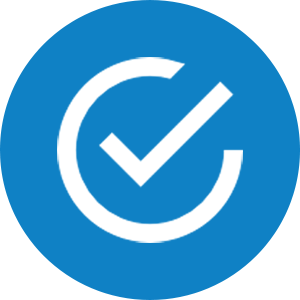 Use MAUS Job Descriptions software to automatically generate customisable interview questions, as well as rating forms enabling you to compare and evaluate candidates easily. 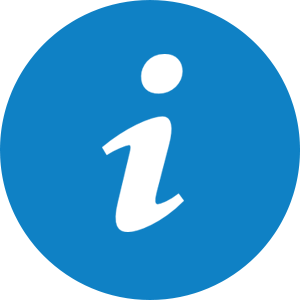 Select from the library of over 3,800 jobs and complete questions about qualifications, physical demands, supervisory responsibilities, performance competencies and the working environment. Simply search by title, keyword, industry, or category to find a description that best meets your businesses requirements. 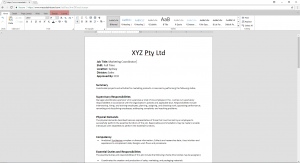 MAUS Job Descriptions software has an easy-to-use Wizard which will walk you through the process to ensure you have created a customised description to meet your needs. 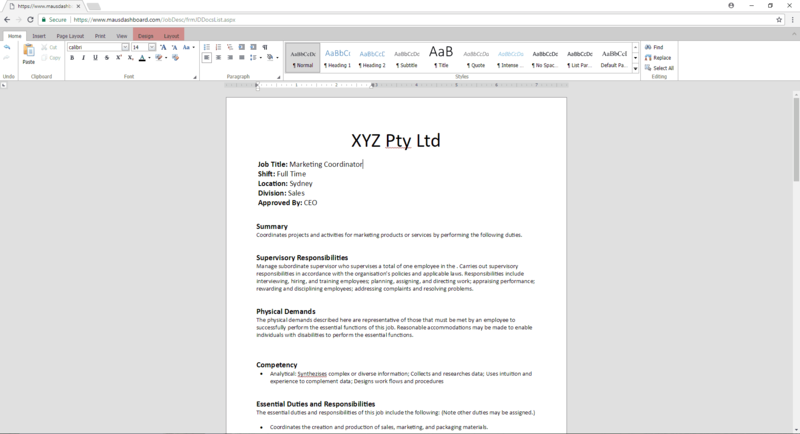 Once you have inserted your company name and logo, just click a button and the MAUS Job Descriptions software will compile you a finished document. It takes minutes and can be generated as a PDF file, Microsoft Word file, or as an HTML (web) file..Its that simple! Why choose MAUS Job Descriptions software? Instant Download & CD Delivered – As soon as you subscribe you will have instant access. 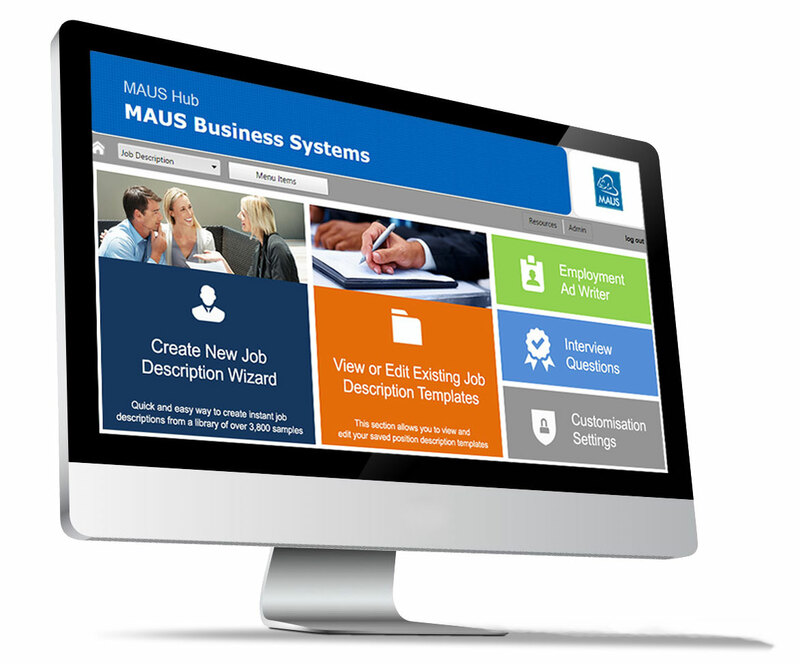 MAUS has helped thousands of businesses develop and implement job descriptions software. Just give us a call, we’re happy to explain it all.